It would be lovely if I could tell you that I fell in love with Shashuka while I was in Israel or when I first tasted it in my favorite middle eastern restaurant, however, truth be told, I saw the recipe in the cookbook Plenty: Vibrant Vegetable Recipes from London’s Ottolenghi and was compelled to try it. Turns out it’s quite yummy and a great way to use ripe summer tomatoes. 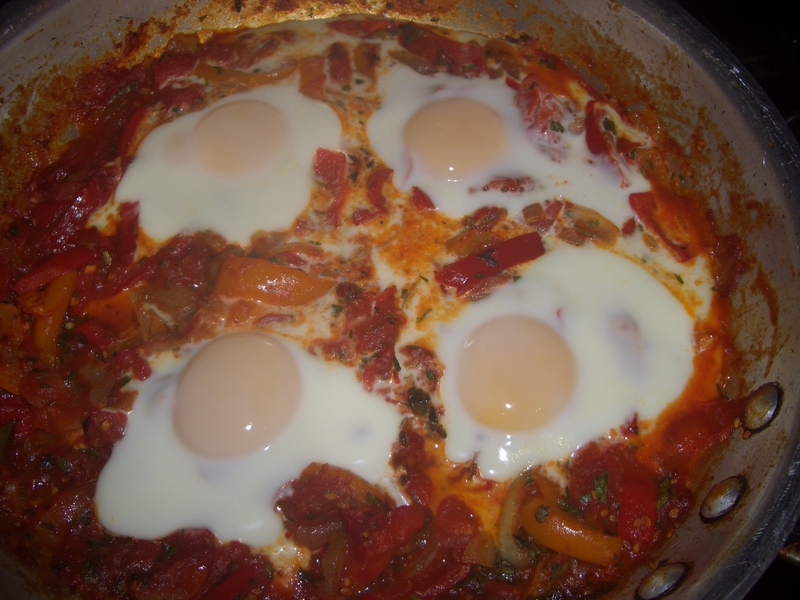 The first time I made Shashuka was last summer. I followed the recipe to a “T”, except I confess it goes against my very being to use 1/2 cup oil in a recipe that serves 4 – so I reduced it to 1/4 cup – everything else I did exactly…until it came to adding the 1 cup of water. The recipe said to add water until the mixture is saucy – but my mixture was so saucy before I added even a drop of water that I just shrugged my shoulders and figured it was just another poorly written recipe – how disappointing. The end result, however was quite delicious. Scroll forward 6 months. 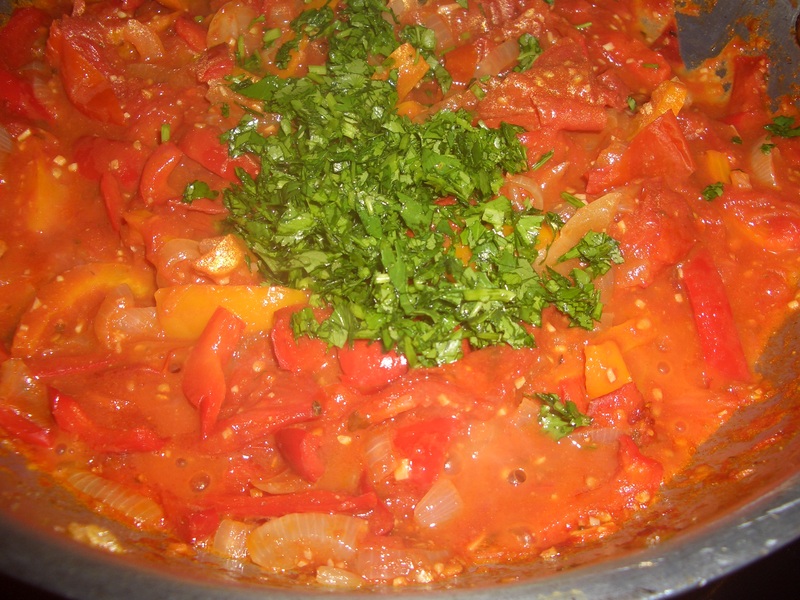 It’s January, I’m making Shashuka for company and this time my tomatoes are just not giving off any juices. Suddenly I need that 1 cup of water to make the recipe work – so Mr. Ottolenghi, I apologize for doubting you. 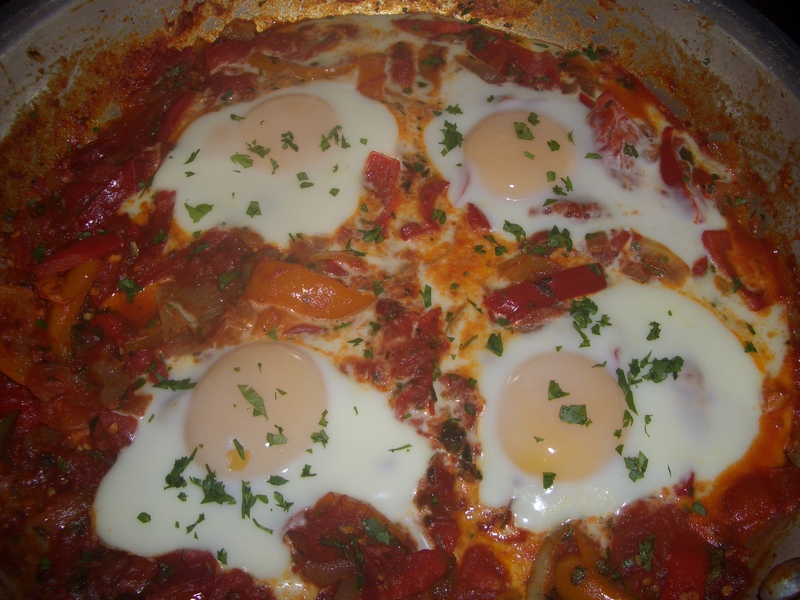 which is why I was moved to make Shakshuka in the first place. 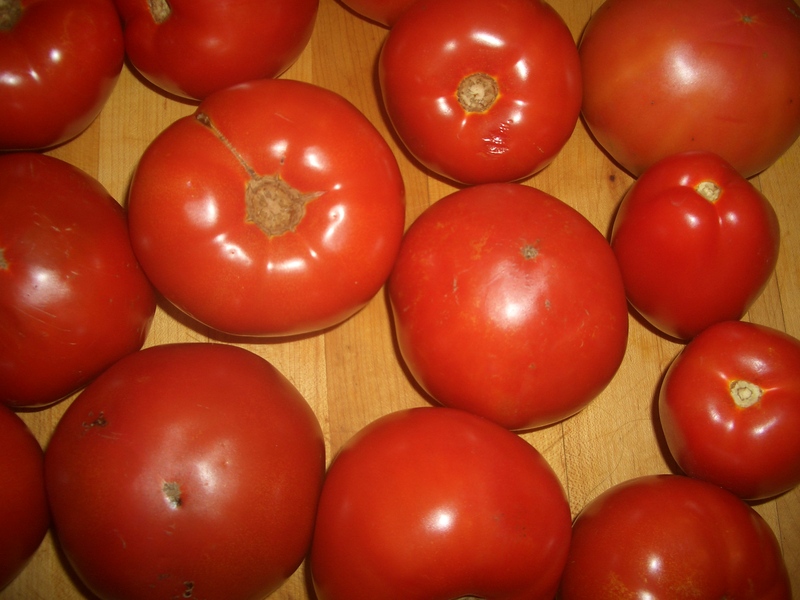 There will be many more tomato recipes to come very soon. 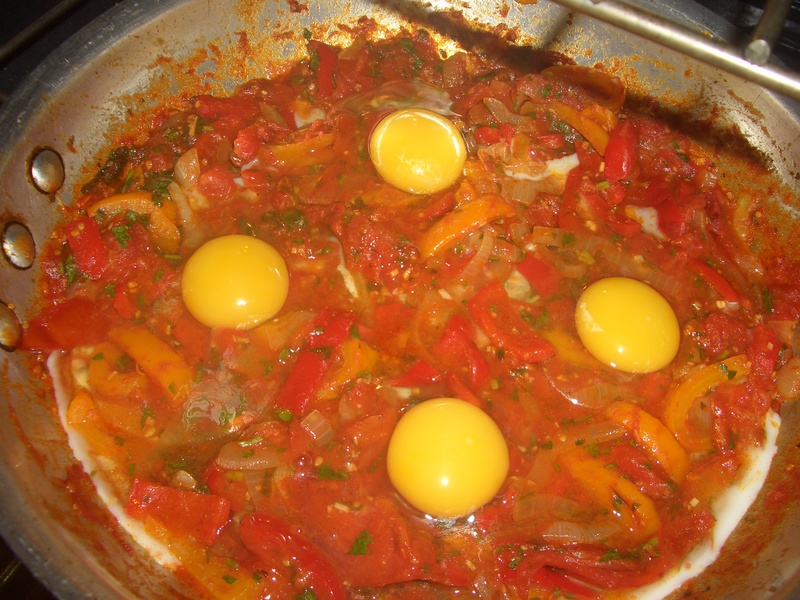 Although traditionally an egg dish, the tomato-pepper mixture would also be delicious as a baked potato topper. 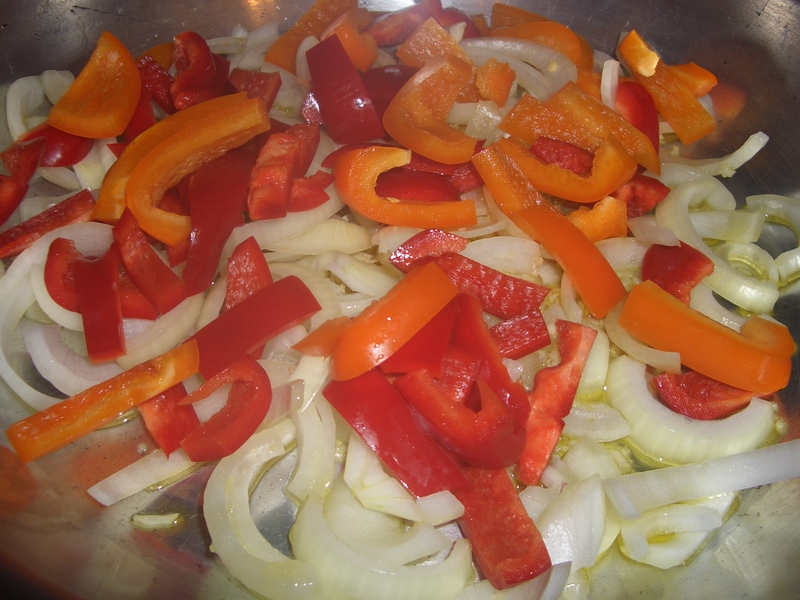 You could also use it as a filling for an omelet. In a large skillet, heat the oil over medium high heat. 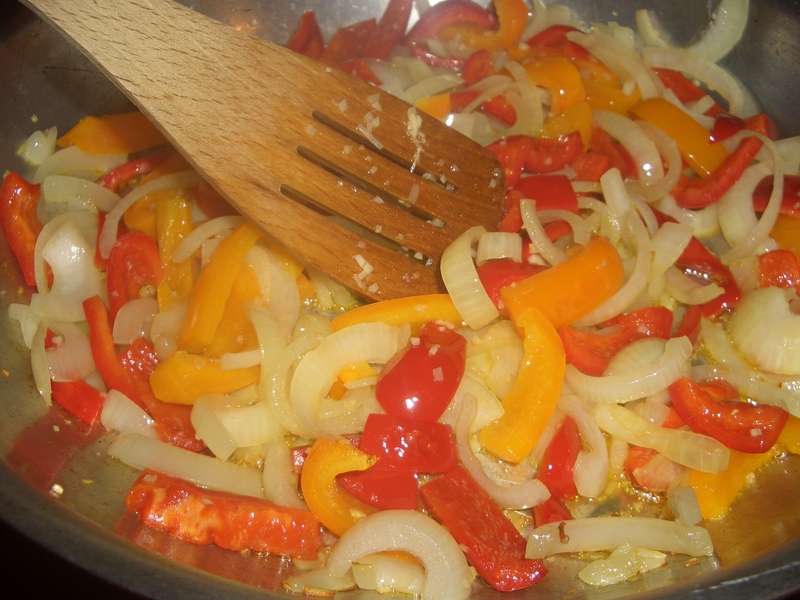 Add the onions, peppers, and garlic; cook, stirring until softened, about 2 to 3 minutes. 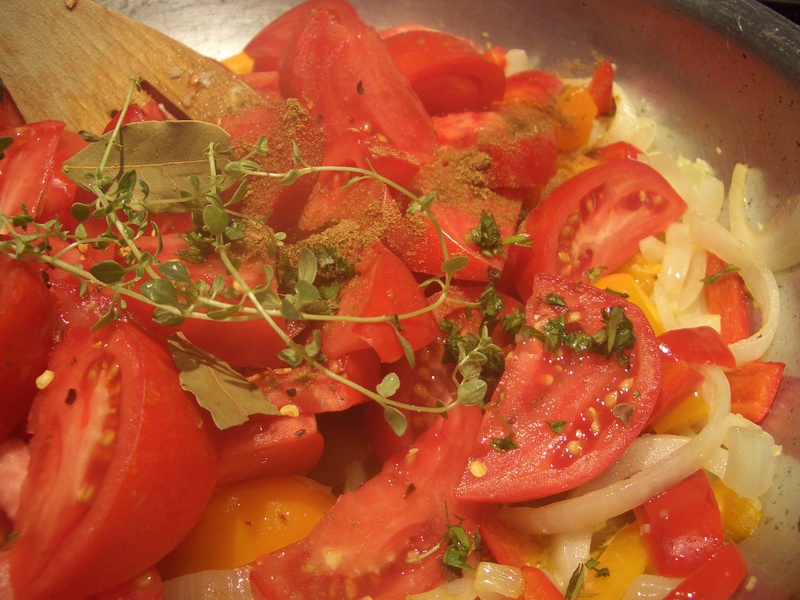 Add the tomatoes, bay leaves, cumin, thyme, and pepper flakes, if using. 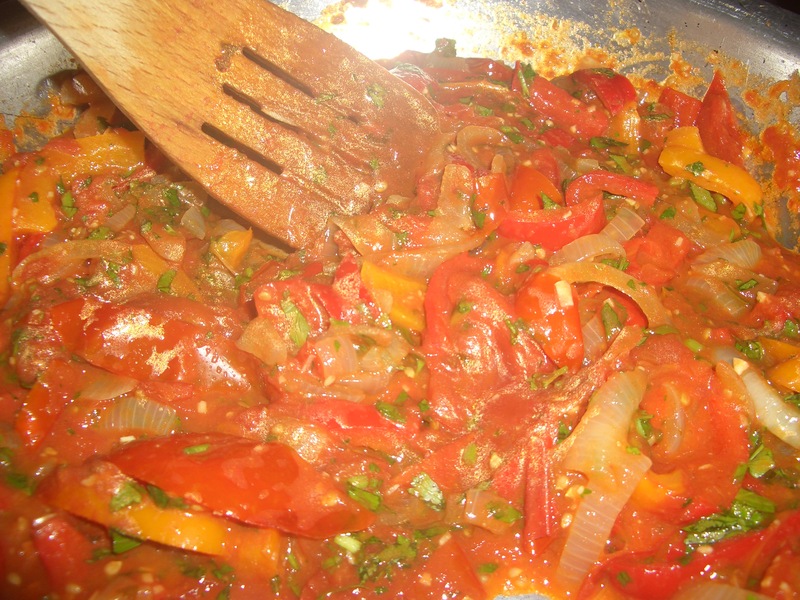 Cook, uncovered, over medium high heat, stirring occasionally, for 15 minutes or until the vegetables are sauce-like. 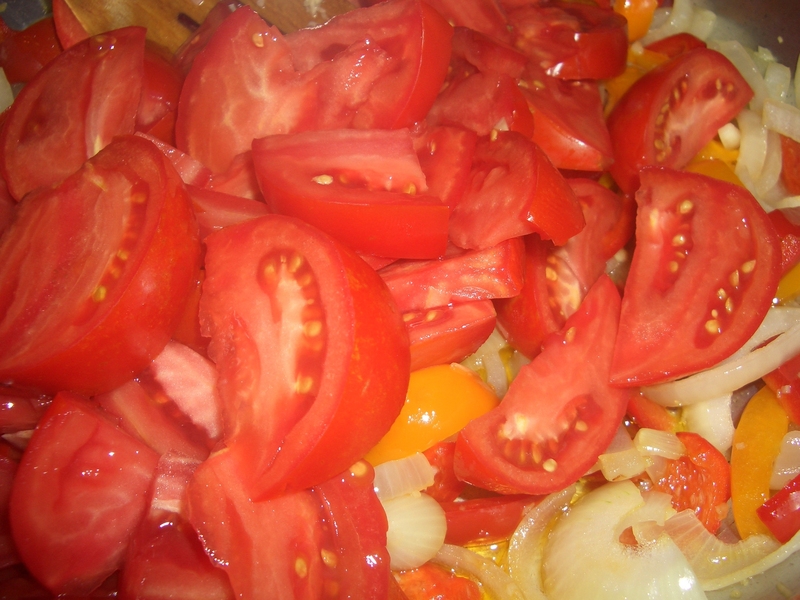 If your tomatoes are not juicy enough to create a sauce, add as much broth or water as necessary to make the mixture the consistency of chunky tomato sauce. Add the cilantro-parsley mixture, simmer 10 minutes longer. Discard bay leaves and stems from fresh thyme. and bake 6 minutes or until the eggs are done to your taste. Sprinkle with additional chopped parsley for garnish, if desired.